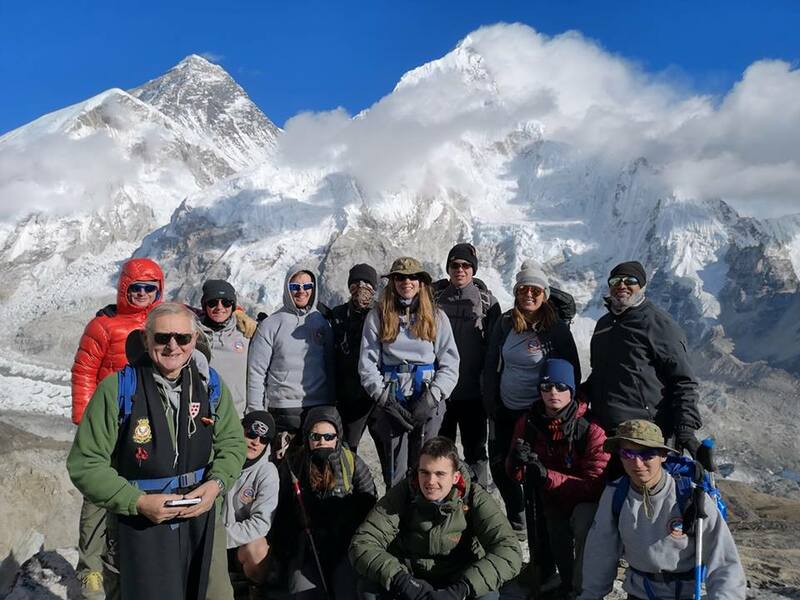 The RAF Air Cadets from West Mercian & Staffordshire Wing traveled to Nepal to celebrate 100 years of the Royal Air Force in the hope of hosting a memorial service on the summit of Kala Patthar (5,550m). The Team of sixteen aged 16-74, led by Peak Mountaineering’s Paul Lewis departed Manchester Airport on Saturday 20th October 2018. 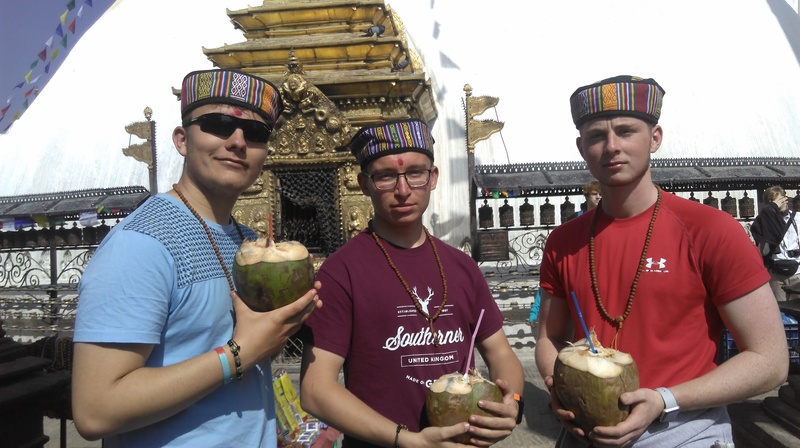 The team arrived in Kathmandu the following day, they then spent the next few days exploring and soaking up the atmosphere of this vibrant city. 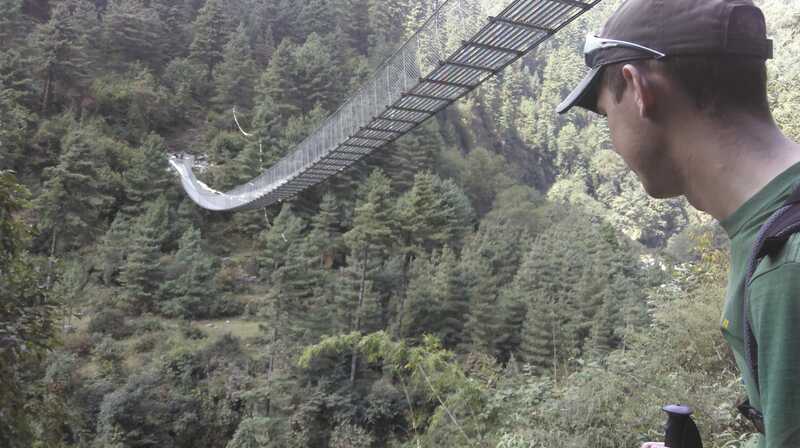 After a cold night and the team’s first real taste of what was to come, the next day brought with it daunting cable bridges, stunning scenery and a challenging 800 metre final climb up to the bustling village of Namche Bazaar (3,464m). 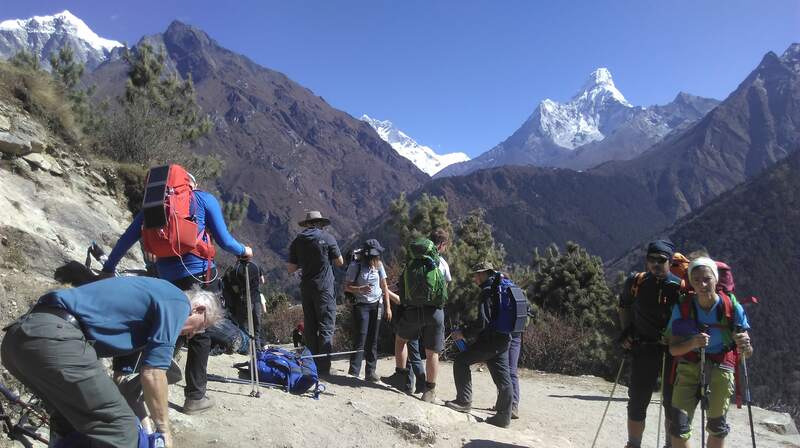 The next day the team took a much anticipated rest day to acclimatise, this included a demanding hike up to Everest View Hotel (3850m) and our first real glimpse of the Mountain that we would be heading towards. The height gain started to take it toll on some of the group and we experienced some of the first minor effects of being at altitude. 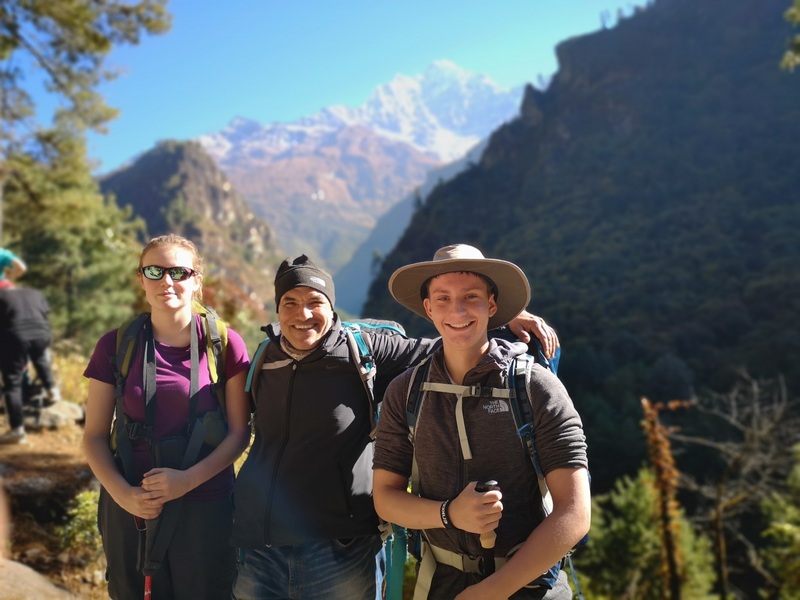 The next day the team took to the trail again and headed up through the Khumbu valley to Deboche (3,820m), passing some stunning mountains and views on route. 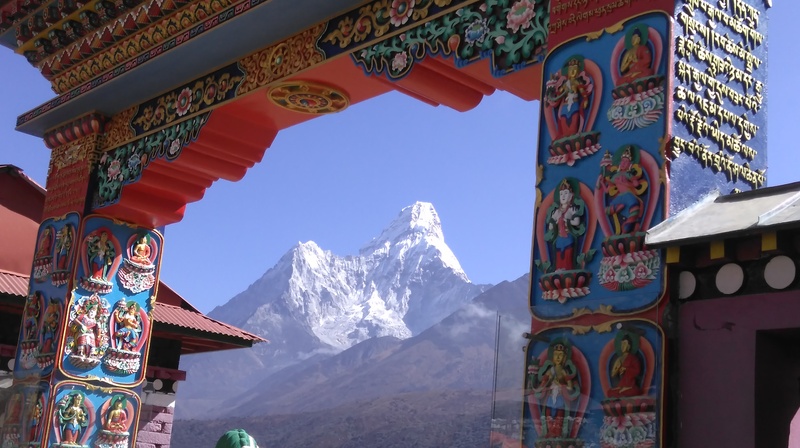 Whilst passing through the village of Deboche the group stopped at the Monastery in the shadow of Ama Dablam to enjoy the celebrations of a local festival. 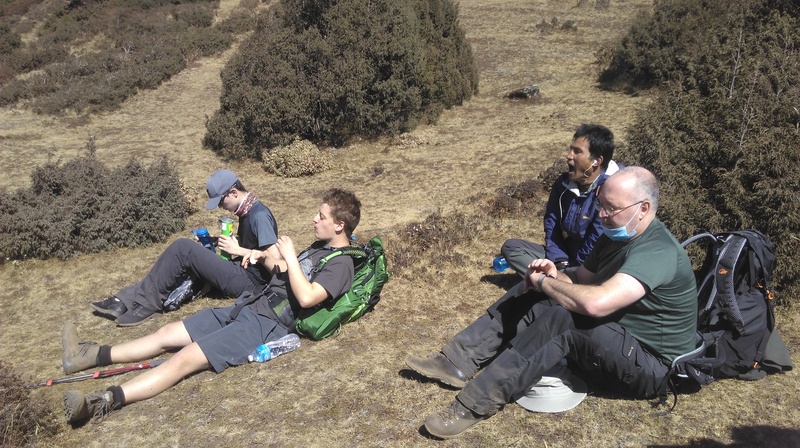 The next day one member of the team was experiencing unusual symptoms and the decision was made to take a short walk to Pangboche (3,930m) and rest there to assess the symptoms and give them chance to settle. 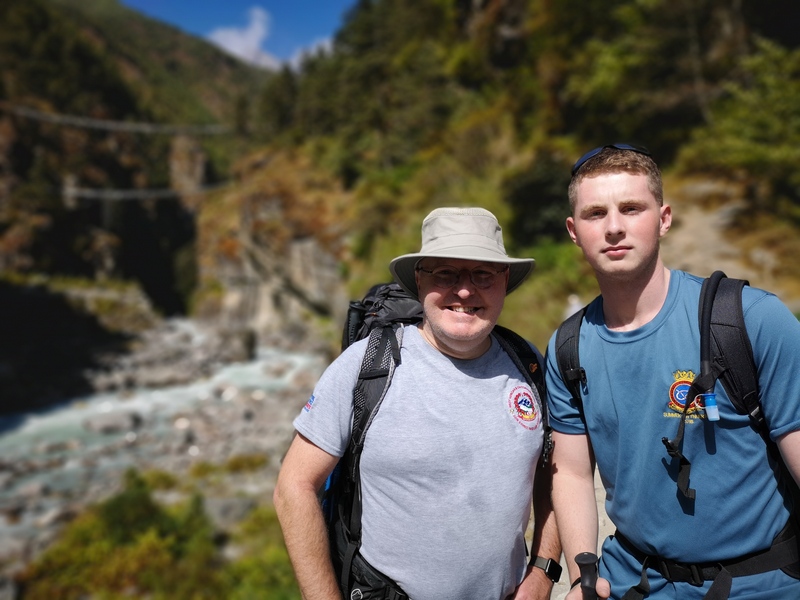 Unfortunately after a day’s rest there was no improvement and the difficult decision was made that for the well being of the Cadet the best course of action would be be for him and a member of staff to descend back down to Lukla. 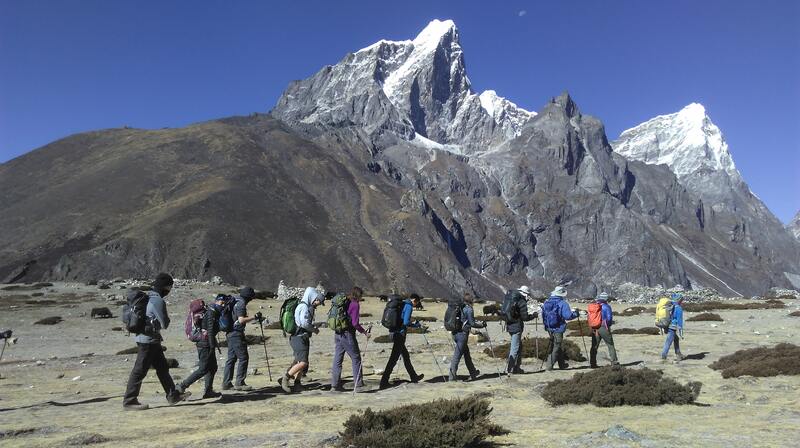 The remaining team continued on to Dingboche (4,410m) taking in another stunning day of trekking. 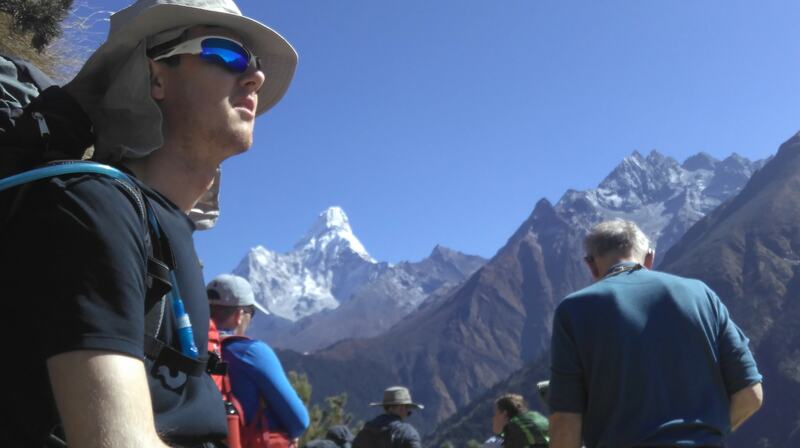 Our arrival at Dingboche and the subsequent height gained meant it was essential the team took another important rest day to aid acclimatization. 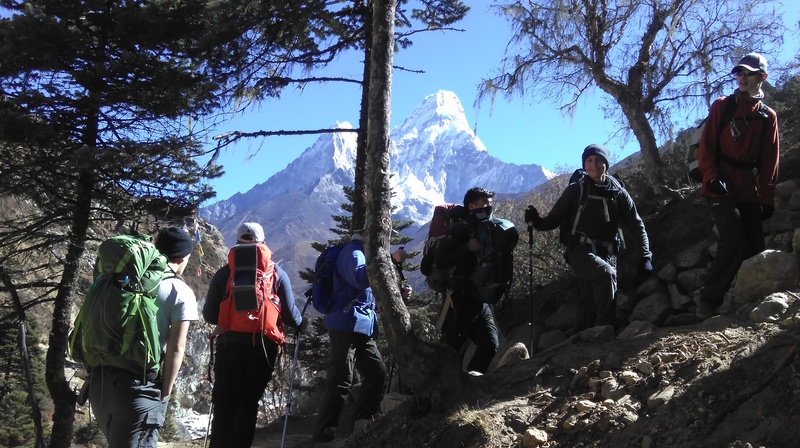 Our day of rest saw us climb several hundred meters and gave way to breath-taking views of Island Peak and the surrounding valley. 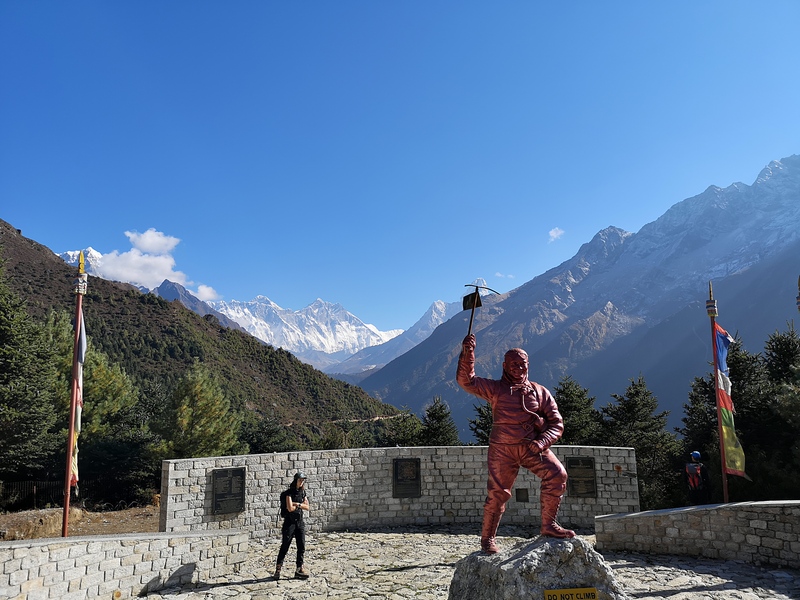 The following day, as we continued our journey we passed through Thokla and the poignant Everest Memorial, giving us an opportunity to stop and reflect and to remember those that had gone before us. As we resumed our journey to Lobuche (5,140m) the effects of altitude were felt again. 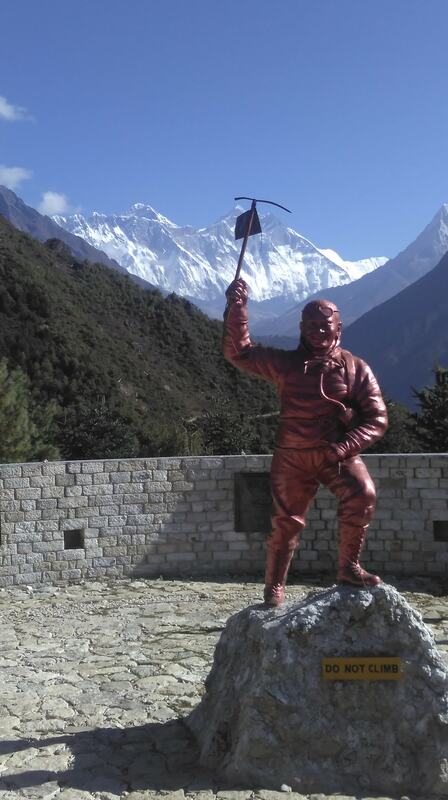 The following day the decision was made to attempt to summit Kala Patthar (5,550m). 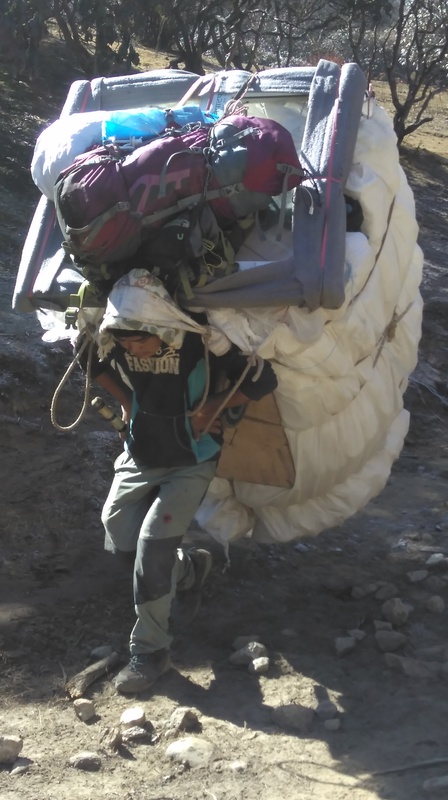 We had one Cadet suffering from altitude sickness, it was deemed best he retreated back down to Pangboche with a member of staff and wait for us there. 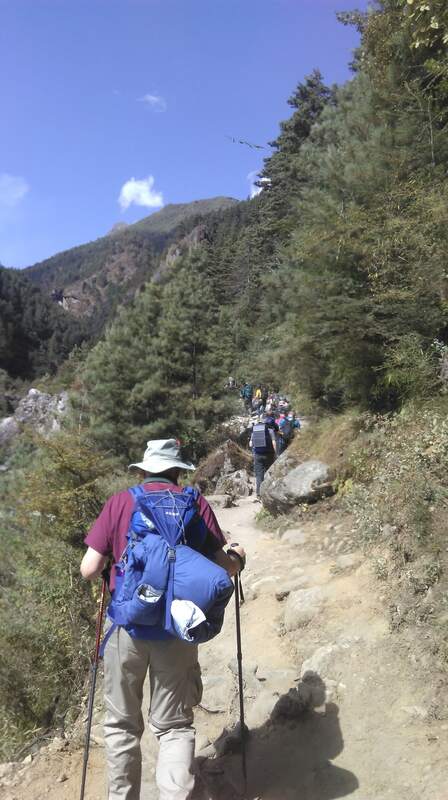 The trek to Gorak Shep (5,140m) was hard with uneven ground and dusty surrounding adding to the difficulty in breathing. 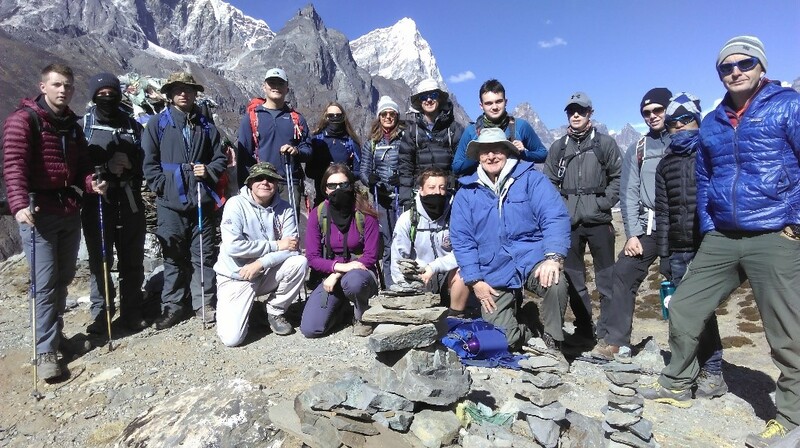 We arrived early and after a hearty lunch decided to take on Kala Putthar (5,550m). 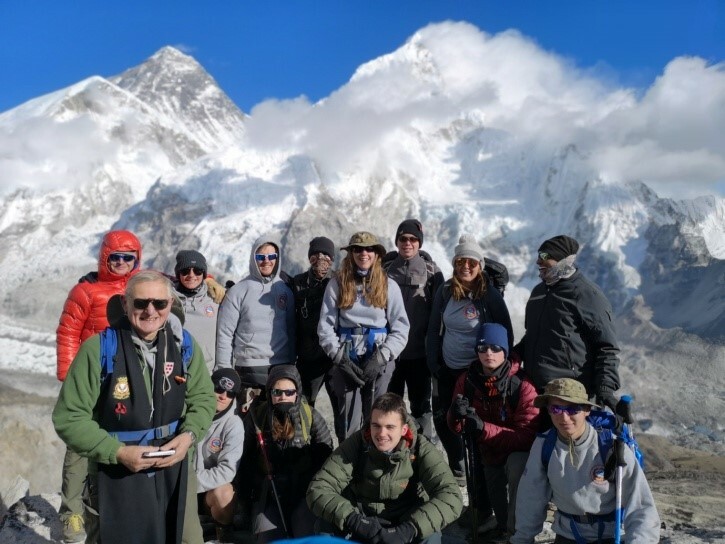 After what felt like a near impossible climb the team finally arrived at the summit and were greeted with grandstand views of Everest. 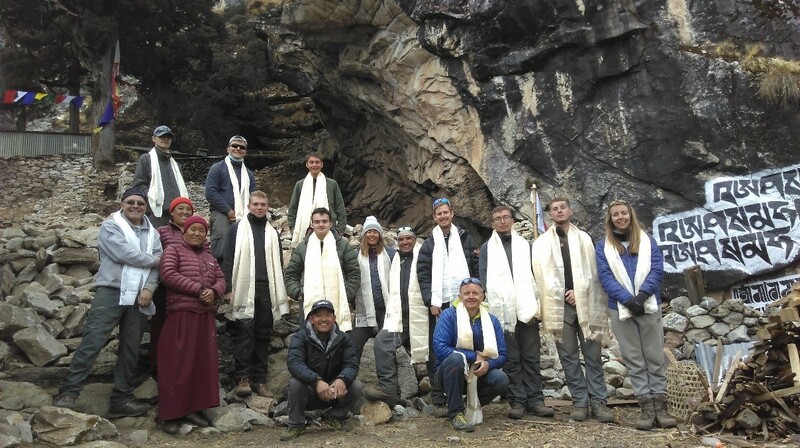 The elation of our achievement did not overshadow our purpose and we gathered on the summit of Kala Putthar on what must be one of the highest memorable services ever given. Time was taken to reflect, to remember and to honour the fallen. After a restless night in Gorak Shep (5,164m) it was time to turn and retrace our steps towards home. After 8 hours we arrived in Pangboche where we would be staying for the next three days while we worked in the local village. Once here we were reunited with two members of the team who were now fully recovered from their altitude related symptoms. 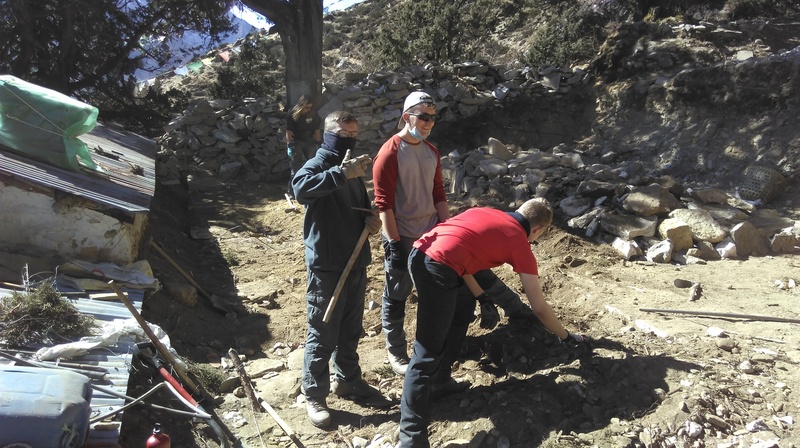 Whist staying in Pangboche the team spend 3 days worked tirelessly on a project for the local community. We worked at a local monastery where local people could go for rest bite and piece and solitude. 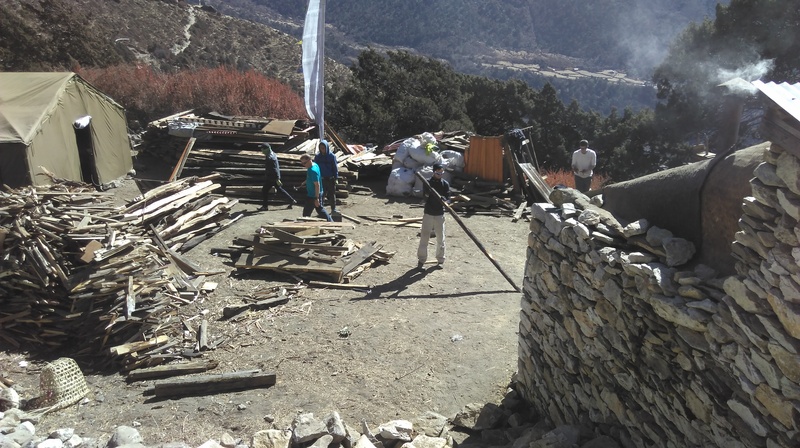 The team were involved in the demolition of a building making way for new accommodation for the local monks and nuns, the site will eventually also boast a tea house for tourists. 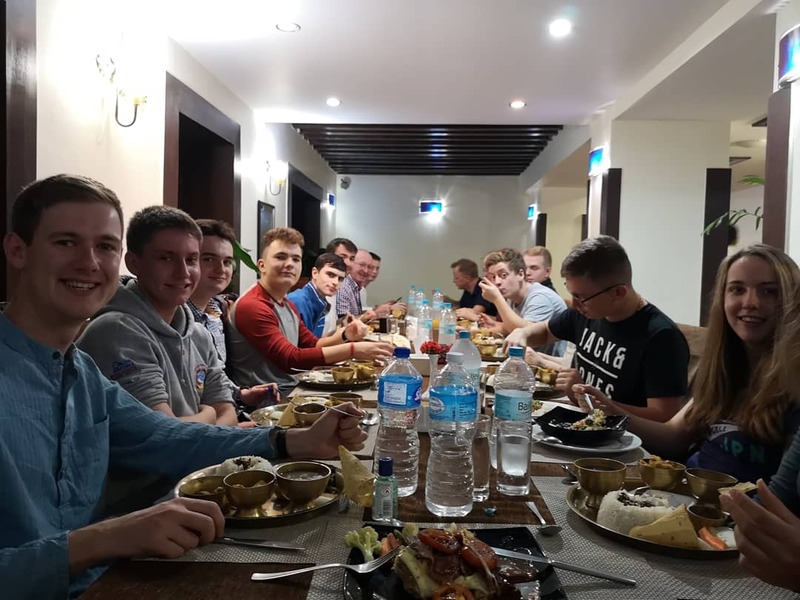 Every member of the team felt it incredibly important to give thanks for the hospitality we had received whilst being out in Nepal and wanted to ensure our visit had a positive effect on the local community. After our three days in Pangboche we continued our journey home, First via Namche, then Phakding and lastly arriving back in Lukla where we would fly back to Kathmandu before our departure to the UK. 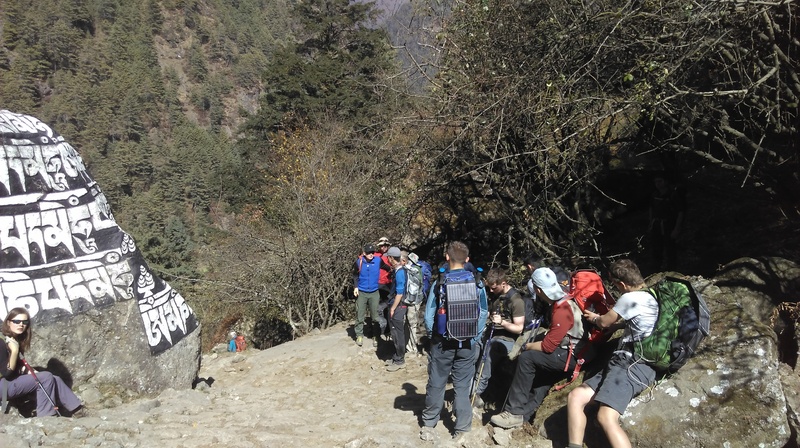 There were many challenges on our journey to Everest Base Camp, our first taste of altitude on the long hike up to Namche Bazaar, traversing long rope bridges over fast flowing rivers forcing many of the group to tackle their fear of heights head on. Sleeping in freezing cold tea houses where your water would freeze in its bottle overnight were just some of our many challenges on the long walk to the summit. However these were hugely outweighed by the benefits. No or at least very limited phone signal meant the Cadets spent their evenings playing card games and music quizzes. We got to sample many local dishes and became a group of Dahl Bart addicts! We shared stories with our local guides and got to know all about their families and heritage. And we got to walk up in the heart of the mountains every day, to walk in their shadows and to appreciate our place in the world. The expedition taught the Cadets and staff so much, they appreciated what their bodies (and minds) were capable of. Learnt to live in close proximity to others for a prolonged period. And appreciated that as a group you are only ever as strong as the weakest member and worked in a group to achieve their goal. 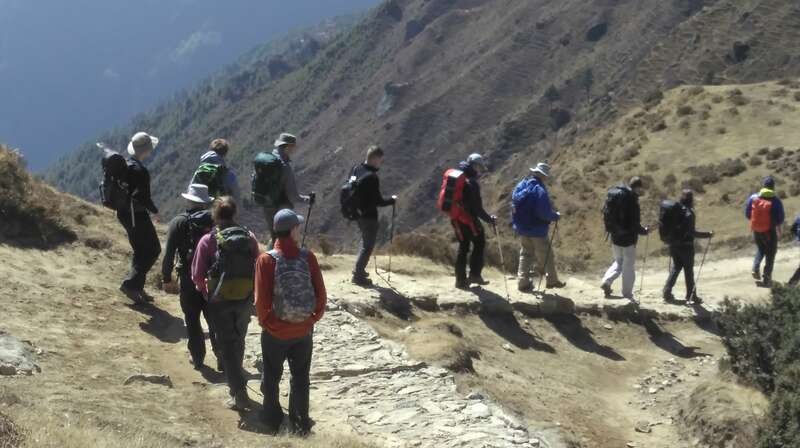 I believe the biggest appreciation came for the local guides who worked so hard to ensure the comfort of the group. How someone with so little could give so much to a person who had so much was a truly humbling experience for all. We would like to take this opportunity to thank everyone involved in our expedition and would like to give special thanks to all those that donated and granted money to allow the trip to go ahead. Without the money awarded to the cadets from the Ulysses Trust this journey would not of been possible.